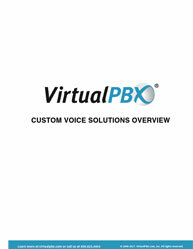 Deploying VoIP with SIP phones is important for a successful business since a VoIP phone solution consists of both working in tandem – the service itself and the SIP phones as endpoints to access the service. 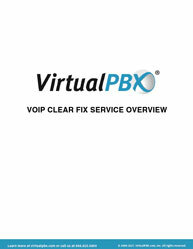 Read this descriptive whitepaper that provides a roadmap for understanding how best to derive value from IP phones, especially when adopting a hosted VoIP phone service and what are the key qualities you should be looking for in a SIP phone vendor. 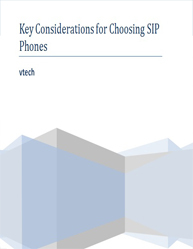 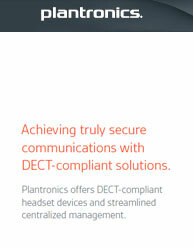 This whitepaper on “Key Considerations for Choosing SIP Phones” highlights how each trend plays into the decisions you’ll need to consider when moving to VoIP, including: Mobility: SIP phones can provide sufficient mobility coverage for business telephony BYOD: SIP phones helps in making VoIP a relatively low-risk investment Cloud Communications: Ease of deploying VoIP with SIP phones Download this whitepaper that articulates the value that SIP phones bring to the overall solution offered by hosted VoIP providers for SMBs.